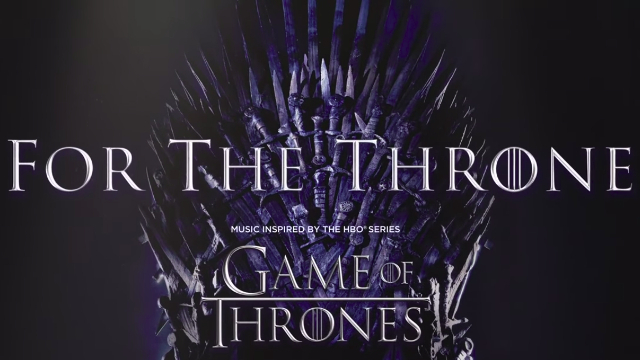 Ahead of the final season of Game of Thrones, Columbia Records and HBO have announced For the Throne, a Game of Thrones–inspired album with some of the biggest artists in hip-hop, pop, and indie folk. The full list of artists on the album includes: A$AP Rocky, Chloe X Halle, Ellie Goulding, Jacob Banks, James Arthur, Joey BadA$$, Lennon Stella, Lil Peep, Maren Morris, Matthew Bellamy, Mumford & Sons, Rosalía feat. A.CHAL, SZA, The Lumineers, The National, The Weeknd, Travis Scott, Ty Dolla $ign, and X Ambassadors. Some of these artists have already taken part in Game of Thrones, as The National recorded The Rains of Castamere in 2012. The final season of HBO’s drama will feature a song from SZA, the Weeknd, and Travis Scott. Game of Thrones‘ eighth and final season will debut on April 14 on HBO. Check the album’s teaser out here below and then let us know your thoughts in the comments section.